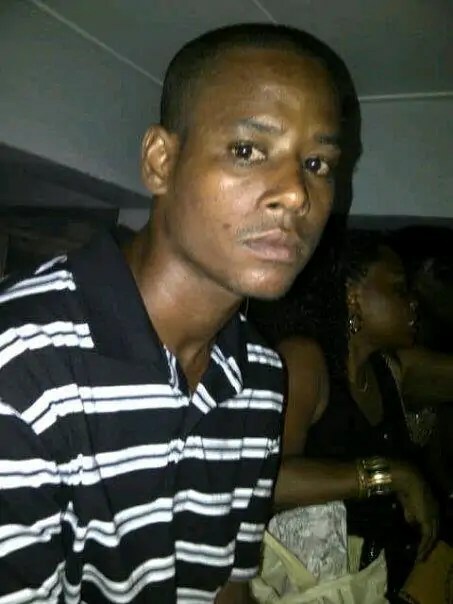 A Guyana Water Incorporated employee was shot dead on Monday night and robbed of his Honda CG motorcycle while on his way home after visiting his girlfriend in the Sophia area. The incident took place just before 9 o’clock. The dead man has been identified as Marvin Cumbermack. Residents in the area said they heard about five gunshots then noticed the young man’s body lying motionless at the corner of the road, while hearing sounds of a speeding motorcycle driving off. Cumbermack was found with his helmet still on and multiple gunshot wounds to his body. It is believed that he was ambushed by at least two gunmen who residents believe hid in the bushes and shot him off his motorcycle and rode off from the scene while leaving him to bleed to death. A co-worker broke down at the scene as he recalled that the young man only recently got his motorcycle back from the repair shop after being involved in a minor accident. The man said he saw Cumbermack earlier in the evening and the two talked a bit before he rode off to go visit his girlfriend. When Cumbermack’s girlfriend and her relatives arrived on the scene they wept uncontrollably as they gazed at the lifeless body in disbelief. The girlfriend screamed out the man’s name and begged him to “come back”. Relatives said he was a very quiet and “easy going” young man who was always respectful and “worked hard” at his GWI job. A bicycle which investigators believe may have belonged to the gunmen was found in a nearby clump of bushes. One of the nearby residents complained that she is scared to walk the streets of the area even in the daytime because of the number of robberies. She said the streets have no lamps and robbers would pounce on anyone walking alone. The investigation is ongoing, but in one of the strangest sights at a crime scene, paramedics who arrived on the scene and moved the man’s body to the ambulance were forced to take the body out of the ambulance and place it back on the road corner scene as directed by the Police. The ambulance was about to drive off when a Police officer told the medical team to take the body out and put it back at the scene. The Paramedics complied and hurriedly left the scene. The move to take the body back to the scene of the crime forced several family members to scream out as they appeared in shock. Investigators at the scene did not want to offer any clarification. 4 Responses to "Man shot dead and robbed of motorcycle"